I pray for my husband to reunite with our family after 2 weeks sobriety. I pray for him to stand up for love and us. Please bless everybody in my family with good health and financial stability. I pray for complete healing of my elder daughter of all her health problems, please bless her with healthy children soon and a prosperous business. I pray for my younger daughter to be healthy, to be blessed with healthy children soon and a very successful career. I pray for my nephews to be healthy, to find good jobs and good wives and to have children of their own. I pray for G to heal from all his addictions and to turn his life for the better. I pray for my sister to be healthy, to keep her job and to have peace and quiet at home and for my mom to be healthy and content. I pray for my husband and me to be healthy, to be blessed with grandchildren from our both daughters soon, to keep our jobs and to pay off our debts soon. I also pray for the intentions of all who are praying this novena. Amen. Dear Jesus, I pray for family peace, faith, health and unity, and that my husband and sons return to the church. I pray for my sons’ health. May they overcome their depression and anxiety. I pray for my son to realize that he needs help and wants the help and take his medicine and realizes how important it is for him. I pray that they stay away from marijuana and realize how bad it is for them. May my son stay away from tattoos, piercings and never want them anymore. I pray that they be ready for work both mentally and physically and be happy, alert, and safe. Guide them to always make the right choices. May my son want to go back to work, find a job and love his job. May my nephew find a job. I pray for my sons and husband to be successful with their jobs, and keep their jobs. May they be safe and people around them to be safe and that they be highly respected. I pray for my husband’s and mothers’ and aunt’s health. May my mother’s memory not deteriorate, and she be healthy and calm and make friends. I pray for my sons to meet good Catholic Christian wives so that they may have their own Christian families. I pray for my friends’ sons, brother and mother’s health. I pray for my husband to have patience. I pray for Sabrina to get pregnant. I pray that Ricky comes back and may he be healthy and safe. I pray for all the people saying this novena. I pray for Alia to meet a good husband. I love You! Spiritual, mental and physical healing for Elizabeth. Thank you Paul John and Annie for this Novenas once again I am asking for prayer that me and my fiancé relationship would go stronger each and every day I am also asking for prayer that my VA appeal will be granted and ask an hour so that my VA rating Will be 100% approve I asked this in Jesus name we pray Amen ! Please pray for the conversion of my children and my husband and for the healing of my son David of his hernia and his ear problem. 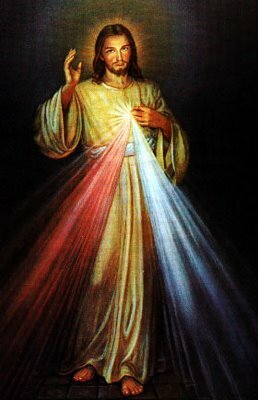 Lord please hear my prayers, st Faustina pray for us. Lord Jesus, as you know me and my family went through alot these months. Please have mercy on us. Help my brother to walk the right path. Help my cousin recover his Kidney problem. Help us to be strong, and give us the strength to go through any problems that come by. As you know that I have applied for my permanent residency application and it is still processing. I keep getting troubles with my application. Please walk before me and help me with my application. Help us get the approval soon. Please Jesus, on this blessed Easter Sunday, grant ALL of my prayer requests SOON through the intercession of Mary and her most holy rosary, especially regarding Susan Keaton. For my son’s skin condition to go into remission. That my granddaughter makes better choices and receives the help she needs. My daughter does the same. All my friends with cancer. Safety and health for my family and friends. Safety on our trip. I pray Lord to please strengthen the love,passion joy and comfort between Edgar and myself. Please grant us more time together days,nights week ends without worrying about other people. I pray thank you. My intentions: the convertion of my sister Linda, bring her back from the streets and drugs. For my son Gabriel who has all his Sacraments to be married by the Church and receive the Sacrament of Marriage. For my son Jorge, to be able to purchase a home of his own to raise his family. Asking for better health for my husband and protection from temptation of alcoholism. I ask for myself patience, better health and patience to care for elderly mother and increase my faith. Please pray for my grandaughter Penelope, that she will be heal by God, she is still in intensive care unit, since she was born, the sugery that was done to her fail, she still cn not take her milk, formula in her body, and ad her sugars are not stable in her blood, plese pray for complete healing of body, mind, and that she will not have any mental retardation, and be home with mom and dad soon.